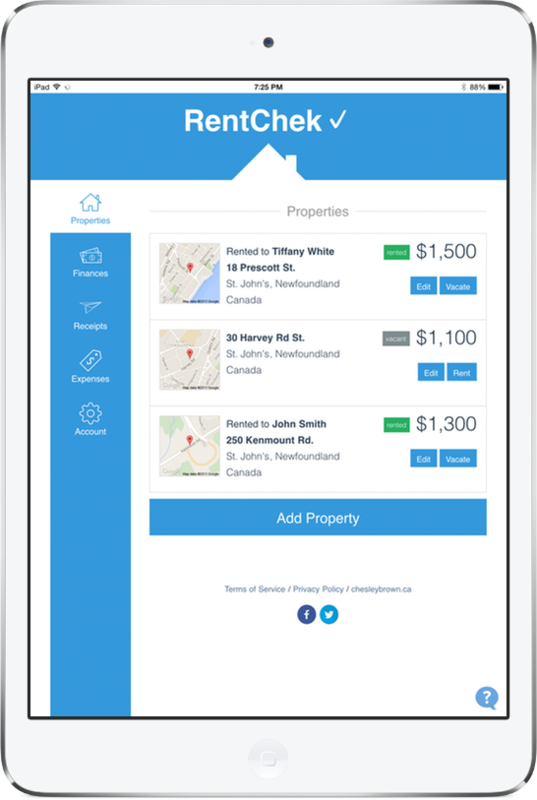 Beautiful, fast and simple property management for landlords. Whether you're a homeowner renting your basement or a landlord boss with a dozen properties, RentChek✓ can make your property management life easier. Maybe even fun. 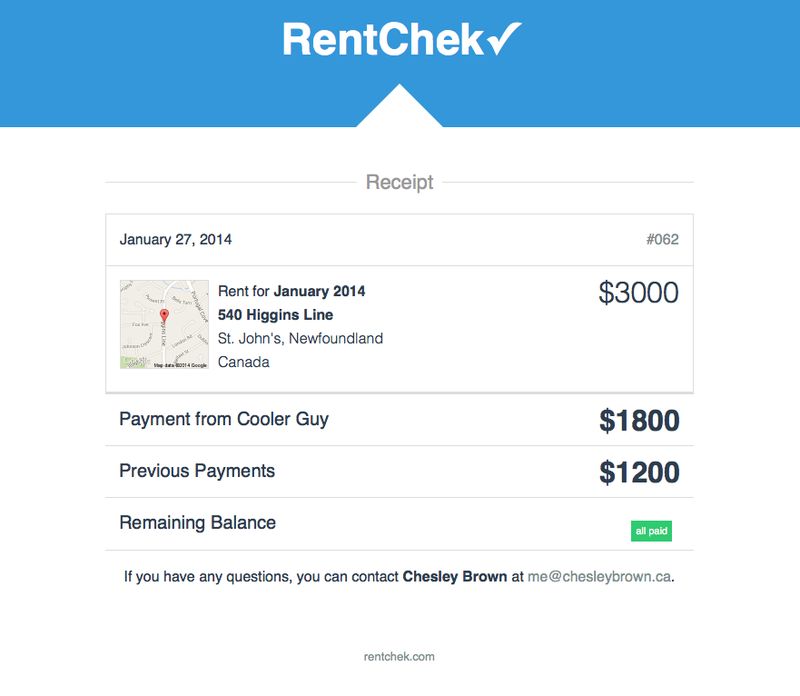 Be more organized and keep your tenants happy with email receipts for rent. Easily access all your information from any smartphone. No app download required. 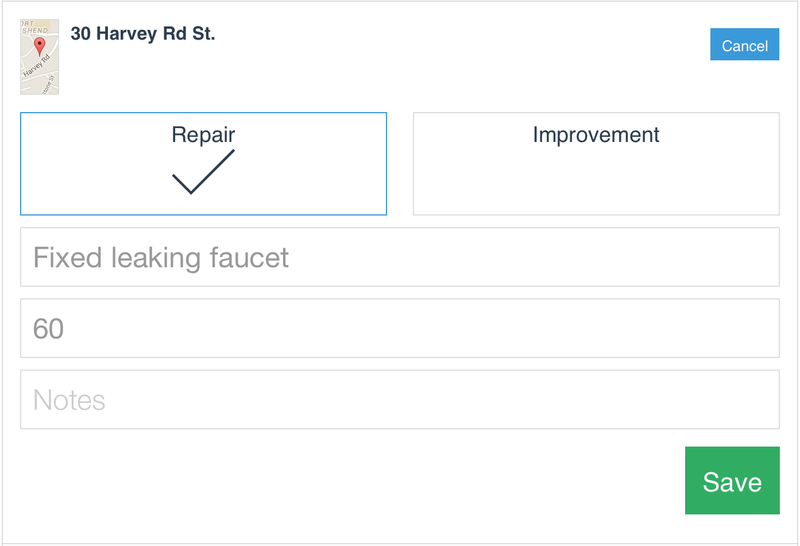 Keep record of all those repair bills and renovations for when tax time comes around. And it's free to manage as many properties as you want! Can't get much more affordable than that, can you?